PlayerUnknown’s Battlegrounds has been one of the most popular games across all platforms, no questions asked. To keep matters engaging and the players perennially fighting, the game’s developers Bluehole announced at E3 2018, that the game will see a new snow map later in the year. 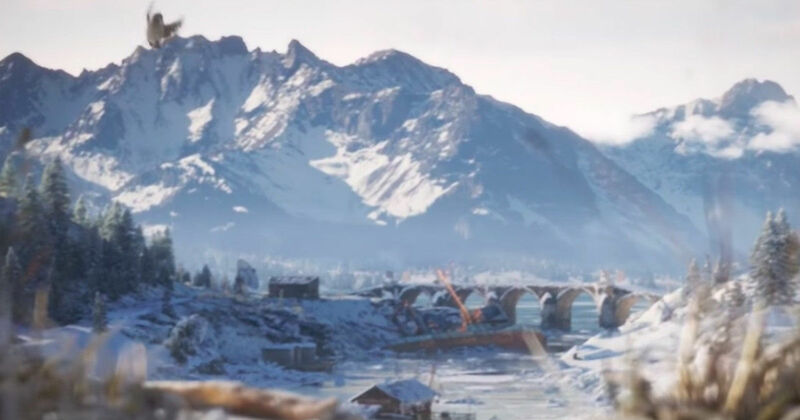 True to its words, the game’s official Twitter handle teased a cinematic trailer, giving a glimpse at the snow map, named Vikendi. It simultaneously announced that alongside PC, Xbox and PlayStation, the Vikendi map will be introduced on PUBG Mobile as well, on both iOS and Android, on December 20th. Today, two days ahead of schedule, PUBG Mobile has started receiving the v0.10.0 update, which brings the Vikendi map to the mobile platform, ahead of PUBG Season 2 beginning on Thursday, December 20th. The update is reportedly 1.6GB in size on the Google Play Store and over 2GB on iOS and brings the usual array of general game improvements along with the new map. Vikendi, the snow-stricken playing surface on possibly one of the largest-ever Battle Royale games of all time, is the fourth map introduced to the Classic Mode gameplay, with the other three being Erangel, Miramar and Sanhok. It has already been announced that Vikendi will get a new snowmobile, as well as at least one all-new weapon. Gameplay is also expected to become trickier now, with PUBG Corp having announced already that players will leave footprints in the snow, thereby leaving trails behind wherever they go. This would bring up an all-new level of difficulty and need for strategic discretion, which was previously not as imperative in the Russia-based Erangel, the Central American Miramar, and the South Asian Sanhok. While the Vikendi map is understandably the centre of attraction, other updates to PUBG Mobile included in v0.10.0 are a snow-themed layout for the main menu, suspicious activity reporting while in Spectator Mode after dying, a firearms upgrade system, season’s spending rewards, cross-server matchmaking and support for Arabic language. Existing players of the game that update their apps to the latest version before December 25th will also be rewarded with an outfit box and 1,888BP in-game credits.